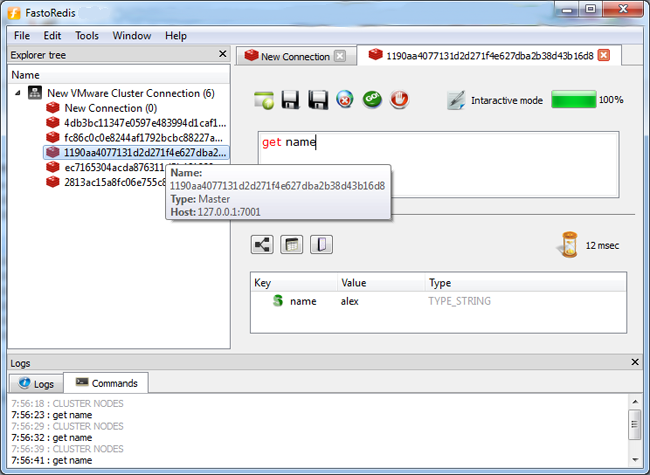 FastoRedis (fork of FastoNoSQL) - is a cross-platform open source Redis GUI client. We also have plans for mobile iPhone version and for embedded devices, in any case you can build application from sources. Now we are opensource solution and help other OSS projects for free. 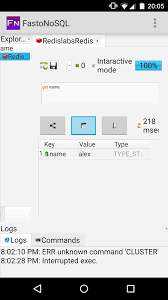 Community version free for all users, it is good choice for starters and who have only direct or ssh visible connections to Redis servers. We support this version and have the counter with 'COMMUNITY LAUNCHED APPLICATION' where we handle how many times this version was started by users. PRO version is developed specially for professional/company users. This version has the trial period for 7 day(s), also the user should be registered on website, you can find the statistic of this version on the main page in the bottom. We recommend this version for users who have Clusters/Sentinels/Modules or servers placed in clouds (Azure, AWS, Redis Enterprise). Our community users often move to PRO after community version in mostly if you are ready to try complex features from PRO version. Community version is free but we charge for PRO version after the trial period. Thr chat on the website is it bot? No, it is our consultant or it is me i'am the founder. Do you have enterprise solution? Yes we have enterprise solution, please send email to: support@fastogt.com to know more. You have used more than 1 email for PRO version. Do you have PRO forever(single pay) version? Yes, the price for 1 license is: 249.99 USD. How can i help to your organization? You can send donatation also please subscribe on our social channels. I received notification when start application (Windows Defender SmartScreen prevented an unrecognized app from starting. Running this app might put your PC at risk.)? Yes we know, we need to byu windows certificate, don't worry our application is safe 100%.